The Week of Euromelanoma- Skin Cancer Screening throughout Georgia- has been taking place for the third time this year by the organization of the Association. The week was opened traditionally with the briefing at Tbilisi City Hall which was attended by Mamuka Katsarava,Head of Health and Social Affairs Service of Tbilisi City Hall, as well as the doctors participating in the campaign of Euromelanoma. The campaign has been taking place with the support of Tbilisi City Hall for already three years. Mr. Mamuka thanked the organizations of the campaign and the participant doctors for their disinterested activity and noted that the campaign is very important and Tbilisi City Hall will always support such initiatives. This year Tbilisi City Hall will take responsibility for covering operation expenses for the cases of skin cancer revealed in the framework of the campaign. Vice-President of the Association Prof. Zurab Rainauli has noted that the campaign of this year will be dedicated to the commemoration of the honorable doctor, oncologist of soft tissues, Mr. Raibul Todua. Before beginning the screening of wide masses of the population within the campaign of Euromelanoma of this year,the experienced doctors have already held the action at the Ministry of Labour,Health and Social Affairs. 70 employees of the Ministry have undergone skin examination and dermatoscopy. 2 cases of atypical mole syndrome have been revealed. The Ministry of Health supported the campaign of Euromelanoma actively this year. On 26 May, on the Independence Day of Georgia, within the exhibition organized by the Ministry, the doctors participated in Euromelanoma will carry out the street action during which the population will be examined free of charge, screening of skin cancer will be carried out. The students and residents of the Specialty of Dermatology from Peter Shotadze Tbilisi Medical Academy will participate in the action together with the doctors. On 4-6 November 2013, President of the Association Professor Lali Mekokishvili and Vice-President Professor Zurab Rainauli participated in the working meeting of the Board of "Euromelanoma” in Brussels.At the working meeting of the representative Board consisting of 22 countries, Ms. Lali Mekokishvili presented the report: “The Company’s Best Experience – Georgia 2013”. The details of the campaign of the following year were discussed at the conference and Georgia will take an active part in this campaign. The visit covered different events; in particular, the Georgian delegation together with the European experts participated in the debates at the European Parliament in relation with the theme: “Skin Cancer as a Professional Disease”. Young members of the Association, residents of the specialty of dermatovenerology of Tbilisi Medical Academy have won the 2013 International Summer Academy Grant ISA2013. 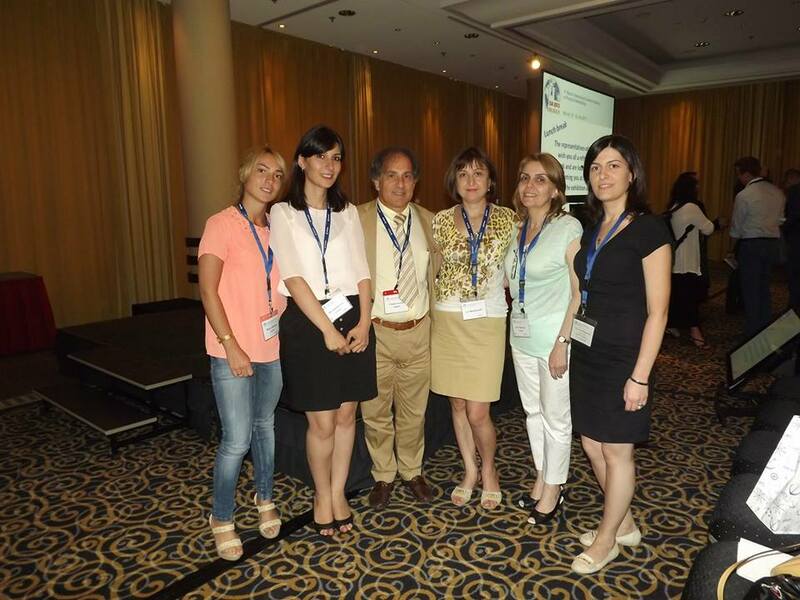 On 21-27 July, the young members of the Association, the residents of the specialty ofdermatovenerology of TMA attended the International Summer Academy - ISA2013. The mentioned forum in dermatology organized by Ludwig Maximilian University takes place every two years in Munich. The conference was attended by approximately 900 delegates from 46 countries. A lot of interesting education courses were delivered. The participants were granted European credits of post-diploma education. Within the frameworks of Euromelanoma, international experts have given the master class in dermatoscopy for Georgian doctors. On 20 April 2013, the medical practical conference "Modern Non-invasive Diagnostics and Treatment of Skin Cancer and Melanoma" organized by the association was held in the form of the master class in dermatoscopy. The master class was given by international expert in dermatoscopy Professor Andreas Bloom from Germany. The program was coordinated with "International Dermatoscopy Society" (IDS) and held under its auspices. The attendants were granted IDS certificates. 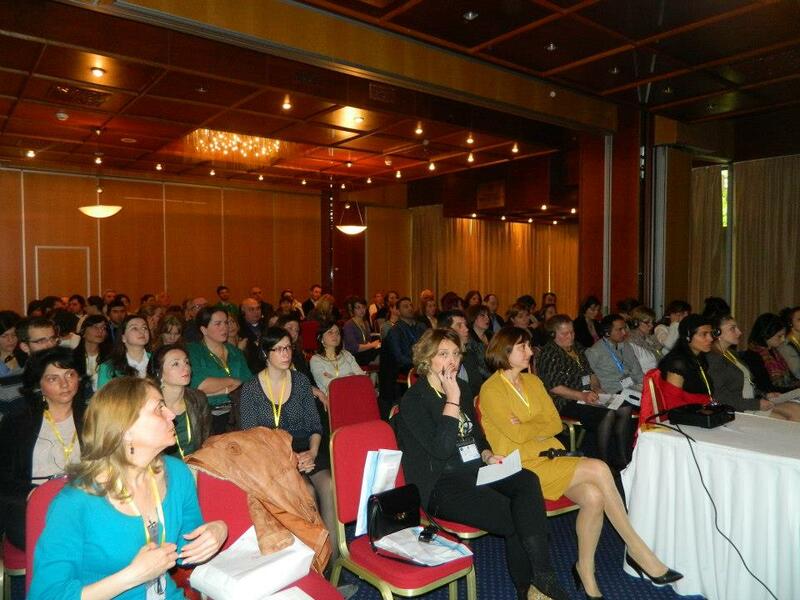 Dermatologists as well as oncologists, surgeons, plastic surgeons attended the conference. After termination of the conference 63 doctors expressed their wish to become members of the Association and filled in the proper questionnaire. On February, by the decision of the Board of the Association, Andy Offer Goren, the Professor of the University of Rome, was granted the status of a Respectful Member of the Association. Professor Goren is planning to carry out Vitiligo clinical research in Georgia. He has expressed his readiness to support the Association. On October 5-8, 2012 the VII National Congress on Allergy, Asthma and Immunology was held in Batumi. Several International Medical Associations took part in the organization of the Congress. Nobel prize laureate, Professor Aaron Chiechanover delvered a key report at the Congress. The Congress was represented by branch-wise sections. The titled scientists of world-wide and European medicine participated in these sections as invited speakers.The section of dermatology was organized by Georgian Association of Photodermatology and Skin Cancer. Along with the Georgian colleagues, the repots were made by the Professor of Rome University, the chairman of World Foundation of vitiligo research Torrelo Lotti and the Professor of Brussels De Libri University, professor Veronika del Marmol being also the chairman of pan- European Campain "Euromelanoma". The materials of the Congress were published in the Internatinal referenced journal "Allergology and Immunology".